Issam Salameh acquired his B.S. degree in Pharmacy. 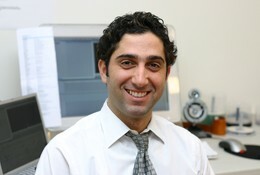 In addition to his interest in public health, he has a great passion for music and visual art. He has remixed Arabic dance music and composed his own tracks. Issam is Quilting Point’s in-house Editor and travel segments editor for this documentary series.